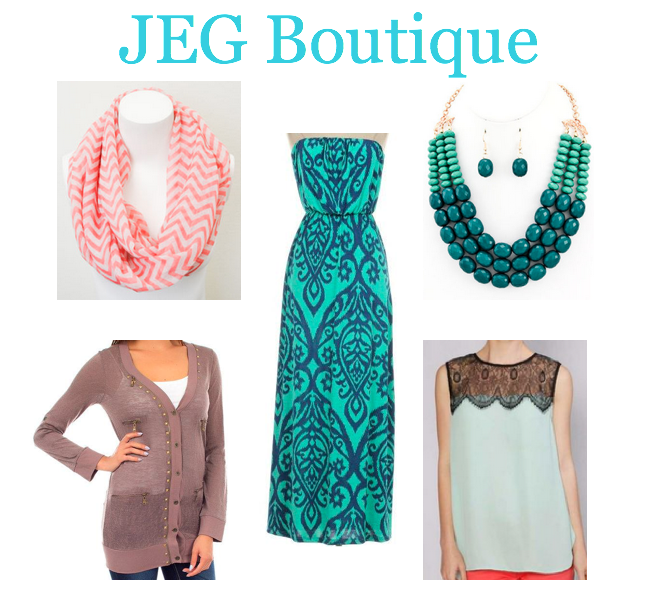 If you recall, a few weeks ago I was invited to attend a clothing party at JEG Boutique in my hometown of Hollidaysburg, PA. Everyone had a wonderful time, so when my friend Becky at Mommy in Heels asked if I wanted to co-host a party with her I obviously said yes! Now, for those that do not live in the area, Tiffany, the owner, has graciously opened the party to our readers who will also receive 10% off of their order, yay! The discount will be active this Wednesday and Thursday, August 14th and 15th using code RWMZ81613. Tiffany keeps her website updated, but she also offers pre-sale items via her Facebook page, so be sure to follow her on there too. Mark your calendars and we can’t wait to see some of you there!